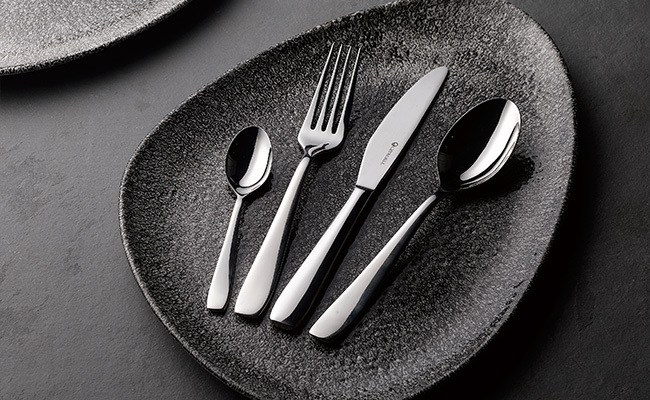 Our ranges of Modern Restaurant Cutlery includes all the top brands of catering cutlery – Churchill, Solo, Elia and Arcroc to name but a few. If you are looking for quality catering cutlery, but something different from standard Parish cutlery designs, then here in our restaurant cutlery sections we’ll have something to suit. Catering cutlery is designed to be used in commercial environments and our range of restaurant cutlery can be dishwashed in commercial dishwashers, has a high polish finish and all are either 18/0 or 18/10 stainless steel. Browse through our extensive collection and you will find modern styles and shapes which will look great on any tabletop. Wholesale cutlery from Pattersons Catering Supplies in modern styles and shapes for every restaurateur and caterer. 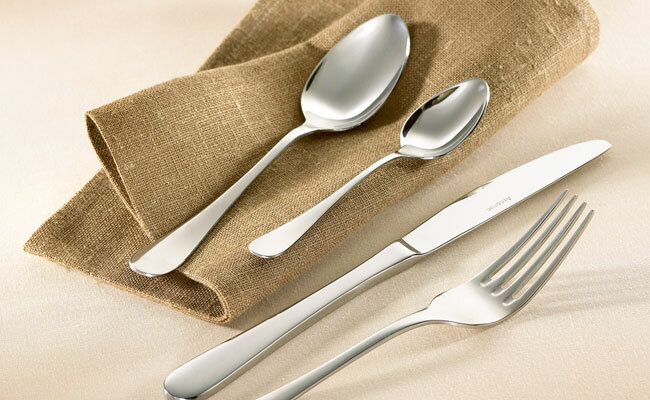 If you are more traditional then we stock an extensive range of Parish Catering Cutlery, as well as a fine dining restaurant range of catering cutlery. 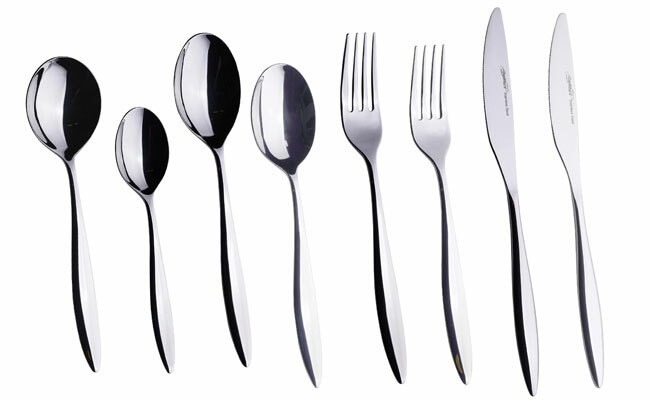 Popular with canteens, schools and budget caterers our economy range is perfect if you require a cheap range of cutlery. 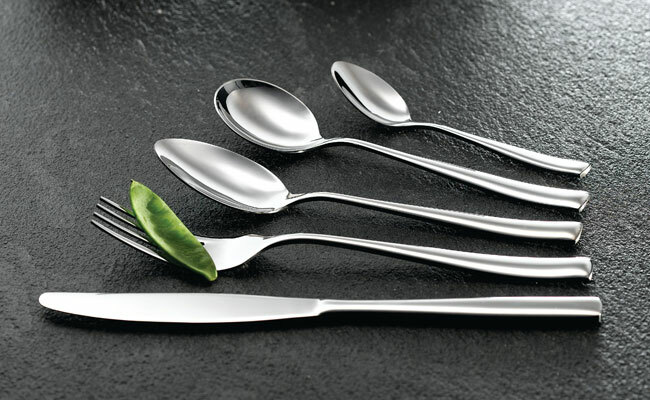 To discuss catering cutlery contact us on 0117 934 1270. 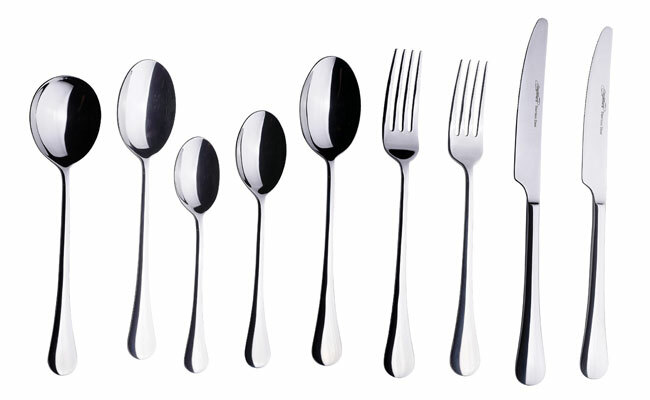 We are here to help and advise you in making the perfect restaurant cutlery choice.